The Cantonese language is one of many within Chinese. Technically, its origins are in the city of Guangzhou (also known as Canton), the capital of Guangdong Province, but is also spoken in the surrounding area of southeastern China. 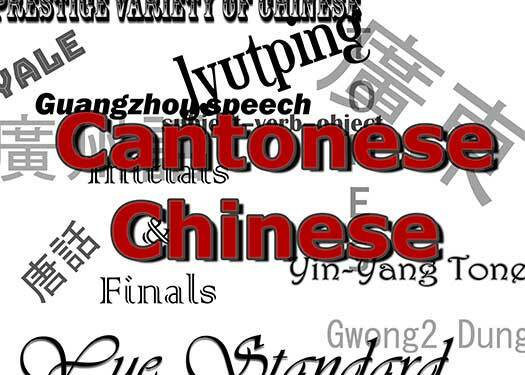 Cantonese is the standard form of Yue Chinese, one of the major subgroups of Chinese and often people will say “Cantonese” to mean this large subgroup of languages. Although Cantonese shares some vocabulary with Mandarin, the two varieties are very different in pronunciation, grammar, etc. Many Chinese people fled their homelands throughout history and landed in Cantonese-speaking regions of China. And when these people moved overseas, they generally took their languages with them. So you’ll find Cantonese being spoken around the world, with many Kung Fu schools embracing this Southern language. That being said, since most people turn to Mandarin study purposes of business, etc., the number of Cantonese Chinese Language Learning Podcasts is relatively few, compared to that of Mandarin. Hopefully it will grow in time. But for now, enjoy, listen and learn to the selection below. Cantonese Class 101 is an innovative and fun way of learning the Cantonese language and culture at your own convenience and pace. Our language training system consists of free daily podcast audio lessons and on our website you have access to video lessons, Cantonese Word of the Day, a premium learning center, and a vibrant user community. We offer group lessons and one-on-one lessons. Byte-sized language files of Cantonese for everyday life. Create your own playlists of real, relevant language for a completely personalized language learning experience. These files only have the words and phrases- nothing else. Listen to these words and phrases and start speaking Cantonese right away. and hop like a tiger.